When I poured the initial resin I did so right before I had to run out the door to get somewhere, so I didn’t get a chance to wait for it to partially set before I put in the rings for hanging. So yesterday I mixed up another batch of resin and put a thin layer on top. The rings set right in there and are hardening as we speak. 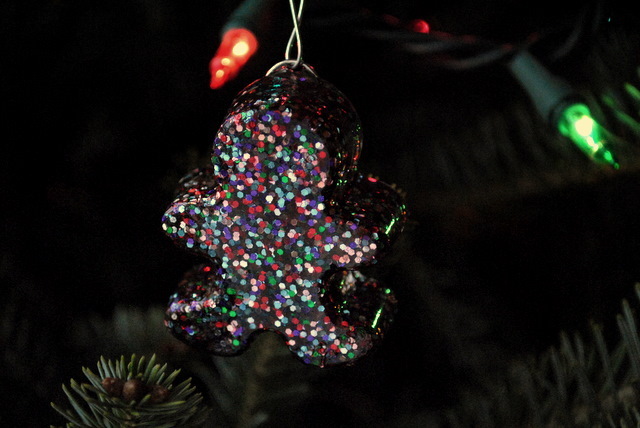 We’re putting our tree up late this week so I hope to show you final ornament photos on Friday! 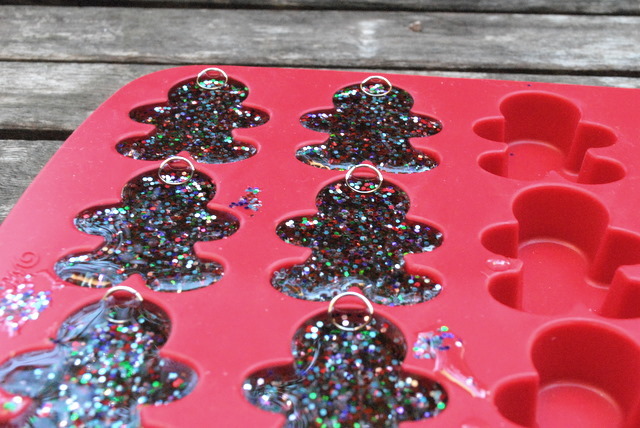 See what I found for my resin ornaments? Gingerbread men! I’m excited about them. 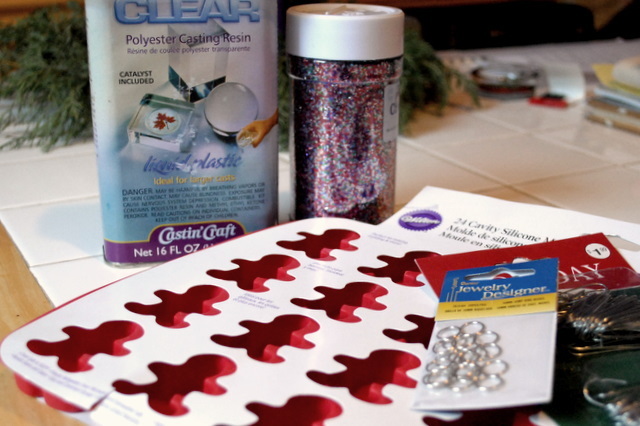 I even found red and green and silver glitter for them so they’ll be extra Christmasy. I’ll admit that the resin intimidated me a little bit. I don’t really understand how it works. When I first mixed the two things together to make the resin I used a styrofoam cup I found in my kitchen. Fortunately my husband was home and saved me before the epoxy completely melted through the cup. Turns out that wasn’t the right vessel. We switched to a regular glass from our cupboard, but a paper cup would have worked just as well. I had hoped to put metal rings into the backs to attach an ornament hanger to, but I didn’t have time to wait for them to partially set up that evening. 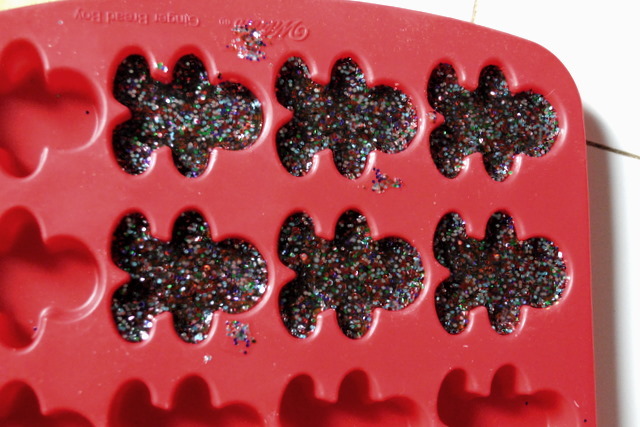 In fact, one unfortunate gingerbread man has a metal ring floating around inside him somewhere when I experimented. I’ll show you how I solved this problem tomorrow. 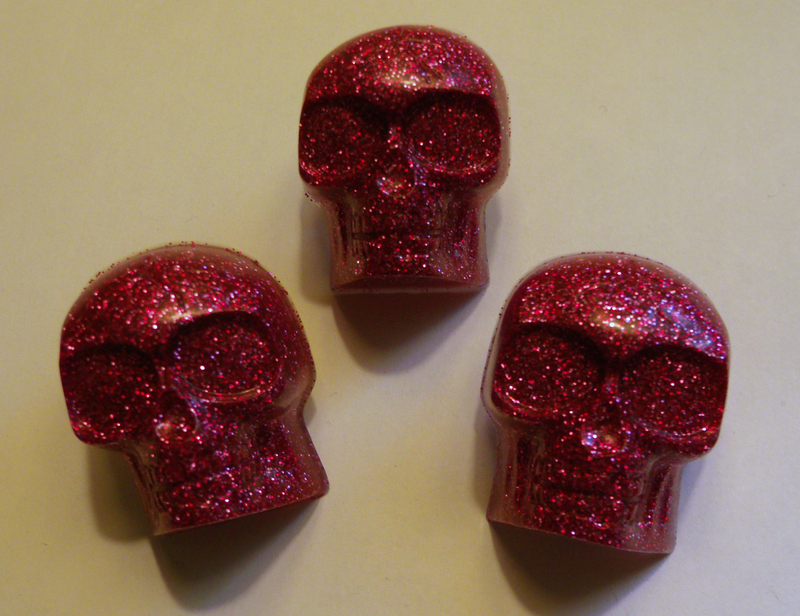 I was inspired by these glitter skull pins at Dollar Store Crafts to make some resin ornaments for my Christmas tree. Will I make skulls? You’ll just have to wait and see.